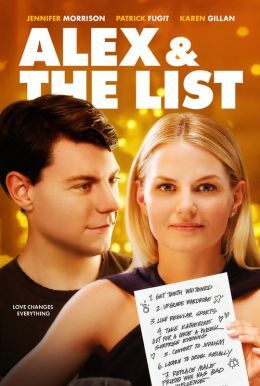 Jennifer Morrison (Once Upon a Time) and Patrick Fugit (Almost Famous) star in this charming romantic comedy. When Alex’s (Fugit) gorgeous girlfriend (Morrison) gives him a list of changes he must make to win her hand in marriage, he must decide how to secure her love, complete the list and fend off a suave competitor. Featuring a star-studded supporting cast including Karen Gillan, (Jumanji), Aaron Staton (Mad Men) and Eddie Kaye Thomas (American Pie), this delightful comedy asks the question - can you be true to yourself and complete the LIST?